Don't let age stand in the way of a remarkable transformation. Al didn't and look at him now! My main goal at the beginning was to get in better shape for elk and deer hunting which is my biggest passion in life outside of family. 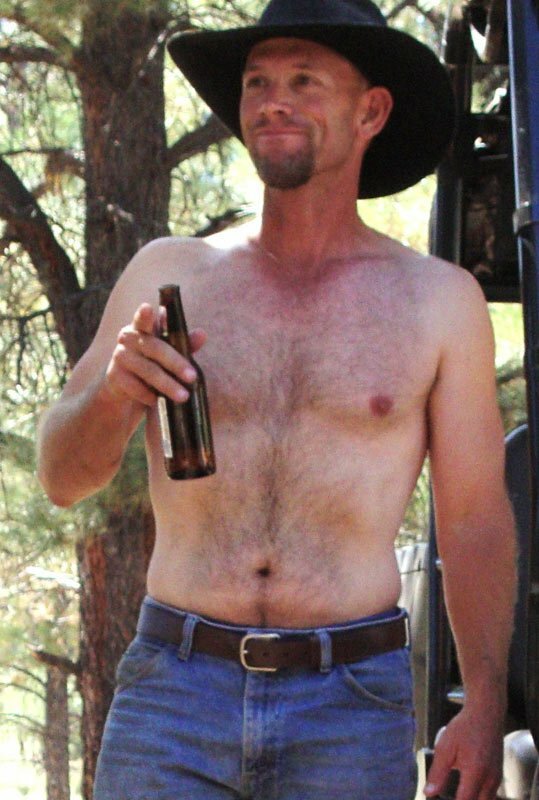 To really enjoy hunting and the outdoors I believe I needed to be in better shape. 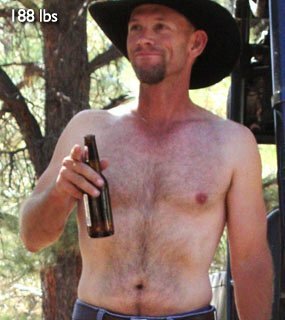 There are times when I will walk/hike 12 miles per day up and down mountains, and with any luck I would harvest an animal and have 100 plus pounds of really lean red meat in my back pack heading back to camp. Little did I know how hooked I would get on bodybuilding. I always stayed in decent shape, but found myself getting softer and weaker the older I became. 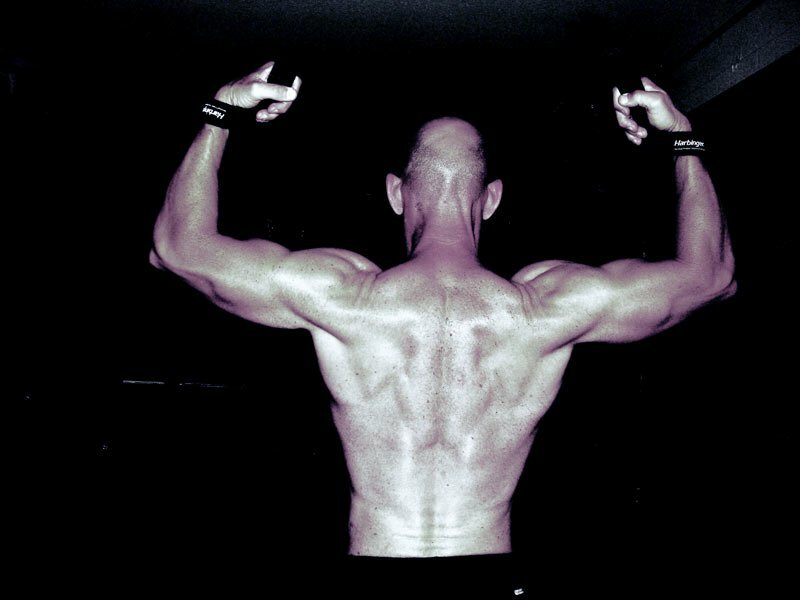 I can honestly say that I am in the best shape of my life and am real close to the max lifts that I had in my 20s. I can't wait to see what the changes the next year will bring. Who knows, maybe one day the amateur stage will call my name, but for right now I just want to get lean and add slabs of muscle. I have fallen in love with the compliments and stares I get from those who haven't seen me in awhile. I have always been confident, but when you feel good about yourself the confidence is at an all time high! My short term goal is to gain strength, add one pound a month while staying under or at 10% body fat. This hunter's guns are locked and loaded. My transformation was not an overnight quick fix. I decided to do this well over a year ago, and was determined to do it right. I didn't want to be one of those people who would lose the weight and then put it back on. Early on I made small changes (habits) in food selection and did a lot of cardio exercises. I then began a 3-day per week weight lifting routine with 2-3 days per week cardio. At the time I had a small universal Marcy weight machine that my boys used in the garage. After close to a year I outgrew the weights so I decided to get some free weights for myself and my two sons. By this time, I was hooked on what I started to achieve, but wasn't happy that I couldn't see my abs yet. 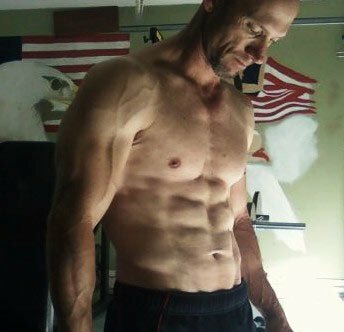 I started to read article after article on Bodybuilding.com and that is when I discovered that abs are not built in the gym as much as they are built in the kitchen. My success came from reading articles by Mark McManus. I followed his information on MANS diet (fat loss) and then bought his book Total Six Pack Abs (cutting). I am now starting his Glad diet (bulking). Abs are built in the kitchen, so follow this guy's recipe. Bon appétit! I've tried a lot of different supplements and wasted a lot of money finding what has worked best for me. I have settled on some basic needs. My workouts are always done first thing in the morning and my supplements are taken before and right after my workouts. To all others who are interested, stop using the excuses that I am too busy, too old, too tired or don't have the equipment or money to join a gym, the options are endless. 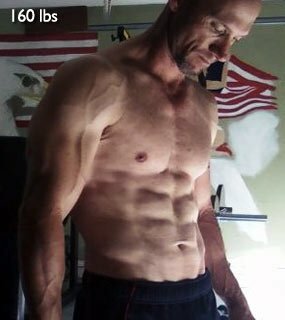 Bodybuilding.com has endless information for you to reach your goals. If you have time to read this or watch TV, you have time to do a workout. Don't let age be an excuse.